Sanctum Sanctorum Comix: HAPPY BIRTHDAY AMERICA! ...THANKS to DOCTOR STRANGE! Today marks the 237th anniversary of the formal signing of the Declaration of Independence, which forever made us our own independent Nation - no longer under the yoke of Great Britain! 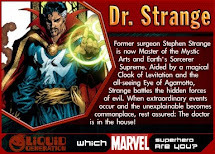 But... what would you say if I were to reveal that this (and other monumental historic) event(s) almost NEVER happened - if it were not for the "timely" intervention of DOCTOR STRANGE! 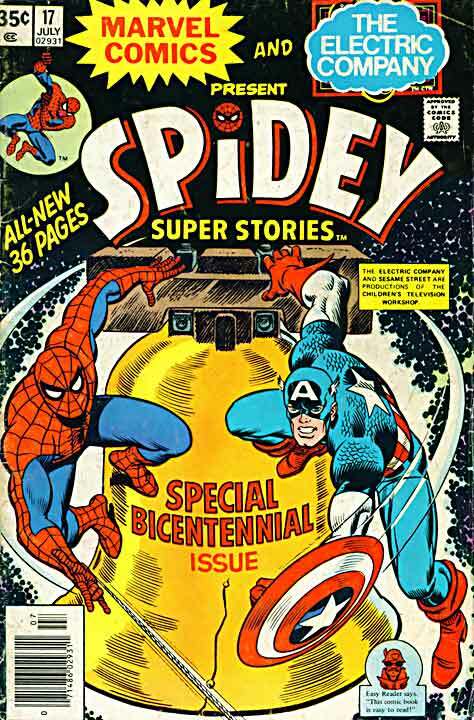 SPIDEY SUPER-STORIES was a comic tailored to young children, who were learning to read - ostensibly via the aid of the children's television show; "The Electric Company" (with whom Marvel teamed in the production of this series). So, it was to those children in 1976 - the Bi-Centennial of the USA - that this truth was made evident. Behold as we go back in time (and where THEY also go back in time)... from 2013 to 1976 to 1776... and back again. 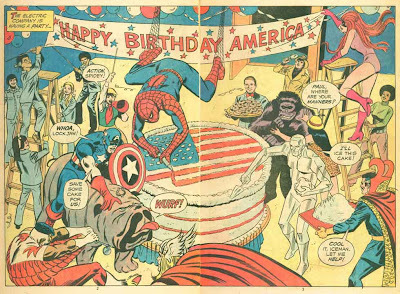 We start at a Birthday Party for America, where many Super-Heroes (and Electric Company members) were in attendance. Doctor Strange looking to use the culinary skills he picked up at the Learning Annex, if only IceMan wouldn't glom all the glory. For some weird reason, even though Strange says he will send the two heroes back 200 years, be ends up over-shooting the mark somewhat, and drops Cap and Spidey back in 1773 - December 16th to be exact. Right in time for the BOSTON TEA PARTY. 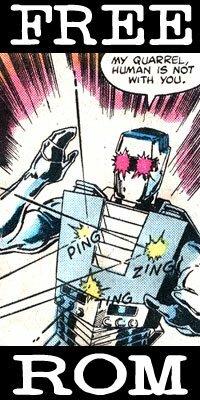 However, they are not the ONLY super-folk time-jumping in that era, for KANG the Conqueror has also jaunted back in time as well. However, KANG's impetus for doing so is because he is fed up with parades, fireworks and having the "MR ROGERS NEIGHBORHOOD" show (no joke) being pre-empted for July 4th news. 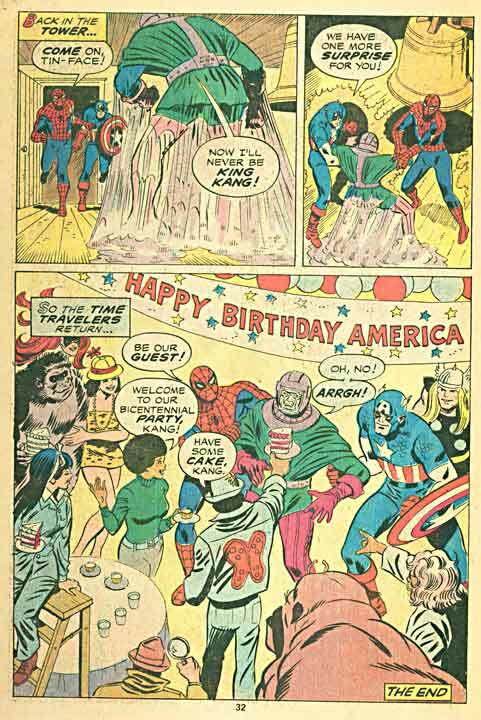 If there was NO fight for America's freedom, then Kang would be free to be KING of the COLONIES (and make sure that he wasn't bothered by those irritants). However, as heroes are wont to do, Cap and Spidey foil Kang's plan of preventing Samual Adams and his men from tossing English Tea into Boston Harbor. 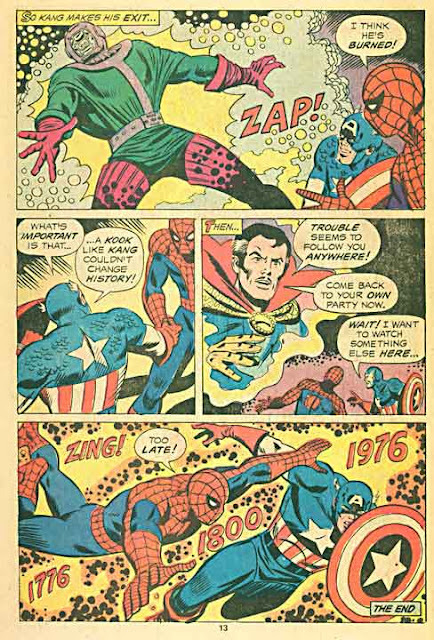 And as villains are wont to do, Kang beats a hasty retreat - just in time for DOCTOR STRANGE to bring the two heroes back to the (then) present. 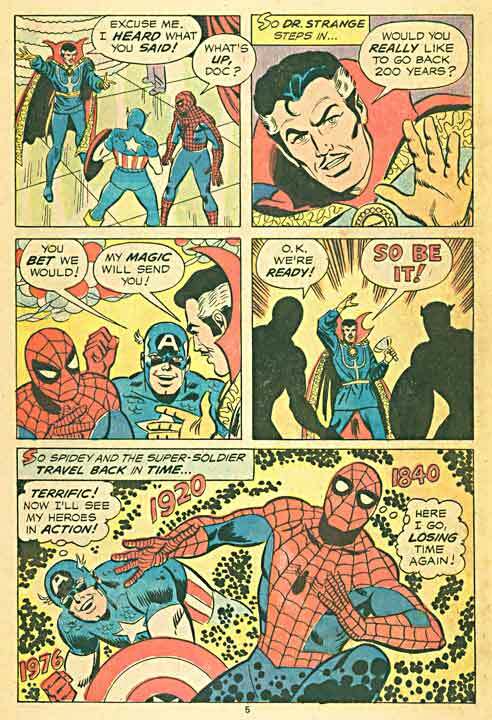 However, while it may say "The End", it is only the end of the first act, as soon, via the Orb of Agamotto, DR. 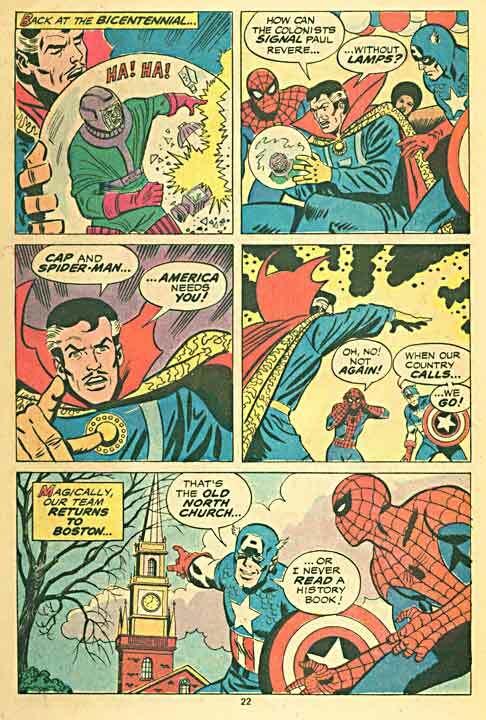 STRANGE spies Kang smashing lanterns in Boston's Old North Church! 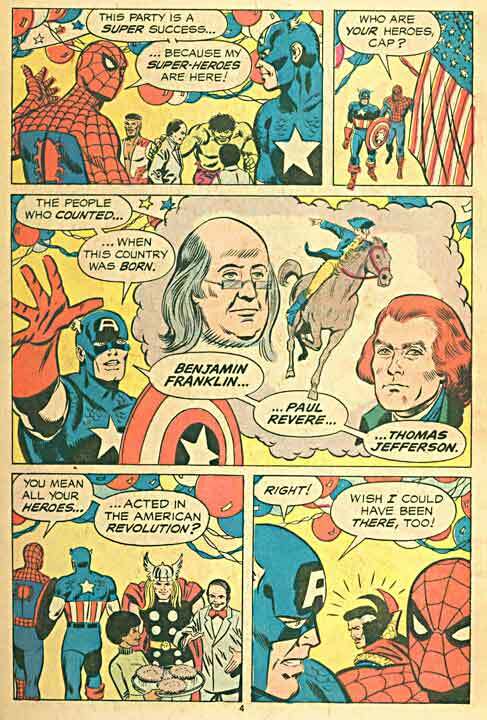 With no lanterns HOW with Paul Revere know whether the British cometh by land or by sea? So... Strange sends his impromptu Defenders back in time to April 18th, 1775 to save the (yester)day! After stopping Kang's act of sabotage, Spidey uses his "Spidey signal" to act as a stand-in for the single lantern which would alert Paul Revere! 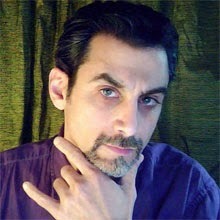 However, as soon as that historic event was preserved, Dr. 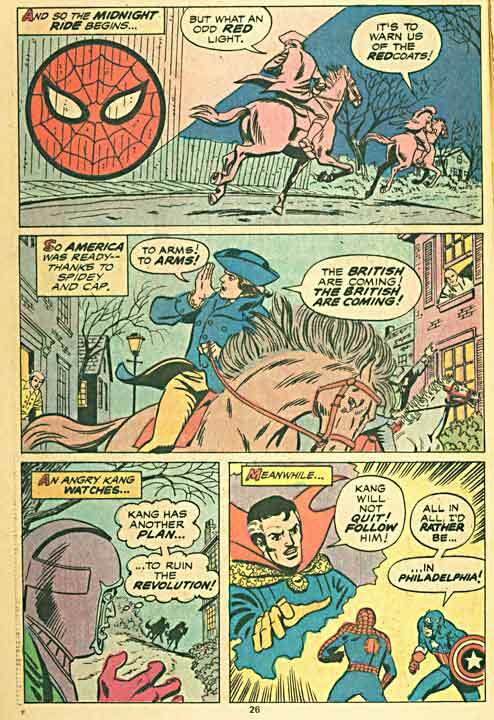 Strange sends the two heroes to follow Kang as the time-lord journeys (finally) to JULY 4th, 1776! 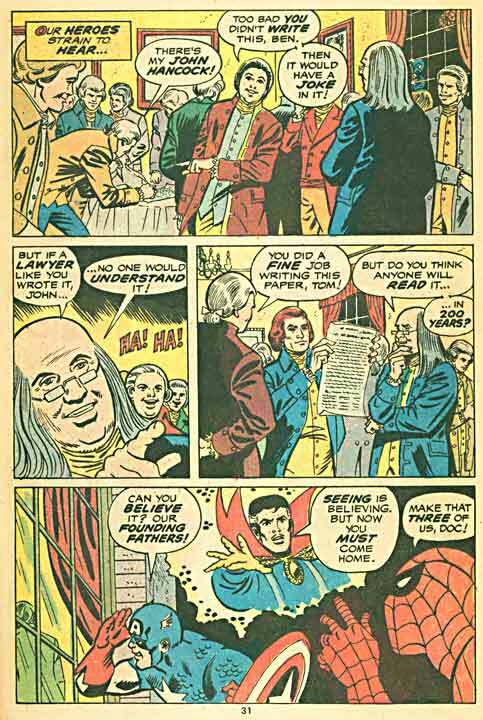 Kang has arrived at Philidelphia's Independence Hall to attach a bomb to the Liberty Bell which will destroy all of Philly and prevent the signing of the Declaration! 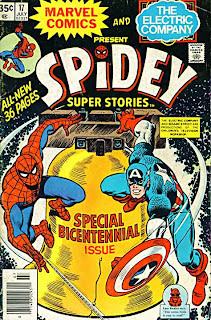 Luckily, Cap and Spidey beat back Kang, disarm the bomb and make it in time to witness the historic signing of the document. With that, Doc brings the heroes (and their captive foe) back to the party where they seemingly torture Kang with a Bicentennial party (the likes of which he sought to prevent) and cake (seemingly iced by IceMan's own "icing"). 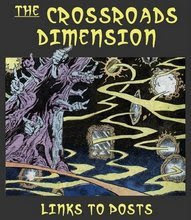 So, this issue of Spidey Super-Stories not only sets up the formation of the SECRET DEFENDERS long before their formal formation, but also sets into motion much of the time-travel shenanigans which could be what started the breaking of the time-space continuum that is leading to all the INFINITY-related breaking of the universe that is being seen in current MARVEL comics NOW! It's been a Long... STRANGE Journey!